TALLAHASSEE — Some Florida counties are seeing a major spike in auto glass litigation, generating fears that auto insurance premiums may follow the trajectory of rising property insurance rates in the state. A recent study by the Florida Justice Reform Institute found an exponential rise in auto glass litigation in the state over the past several years. The study concludes that collusion between some auto glass companies and a small number of attorneys is largely responsible for the trend. And it’s being done through an exploitation of a provision known as assignment of benefits, the study says. The institute’s numbers indicate that legal cases involving auto glass stood at only 92 from 2000 to 2005. But in the from 2010 to 2014, 13,100 such cases were filed in Florida courts, and the cases approached 20,000 last year. 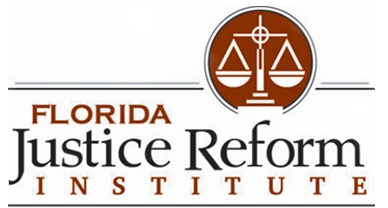 “Our study notes that there has been an extraordinary increase in auto glass claims,” William Large, president of the Florida Justice Reform Institute, told the Florida Record. 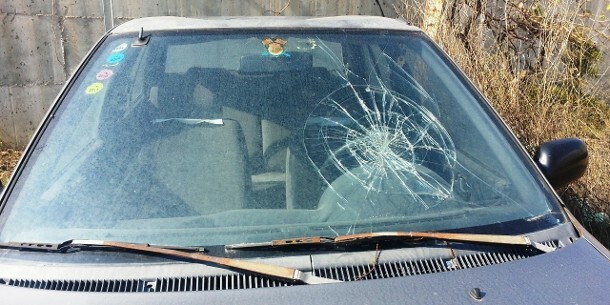 No geological or meteorological event during this period can explain such a spike in damaged auto glass or windshields, leaving litigation as the likely culprit, he said. Typically, third-party vendors might stake out a big box store looking for cars with hairline cracks in the windshield, Large said. They try to persuade the owners of such vehicles to sign over their insurance benefits in exchange for replacing the windshield at no charge, possibly with a gift certificate thrown in, he said. The glass vendor could then charge the customer’s insurer an inflated fee, according to Large. The vendor could take the insurer to court if the insurance company refuses to pay, and under Florida law, the vender has the right to have attorney fees paid by the insurer if the vendor prevails in court. “You shouldn’t have a situation in which there’s a third-party vendor praying on people in retail parking lots,” Large said. In response to a query by the Florida Record, the Florida Office of Insurance Regulation did not comment specifically on auto glass litigation. But the agency did say that similar lawsuits involving assignment of benefits by property owners who were victims of water damage during hurricanes and other weather-related events have been driving up homeowner insurance costs. Most of the property insurance companies’ rate filings to the Office of Insurance Regulation in 2014 were for rate decreases or no changes, but by 2016, nearly three-quarters of the rate filings dealt with proposed rate increases. “We have already begun to work on how to best mitigate this cost driver going forward, including preparing proposals for the 2018 legislative session,” Amy Bogner, spokeswoman for the Office of Insurance Regulation, told the Florida Record in an email. But Don Munro, president of Tampa-based Auto Glass Appraisal Services, challenged the idea that insurers are being forced to increase premiums due to a few bad apples in the auto services industry. Insurers may have begun taking a harder line in recent years by not paying auto shops a fair price for the work they do, Munro said, causing the shops to simply fight back via the legal system. In addition, many insurance policies have provisions that allow appraisals and arbitration as alternatives to litigation, he said. “That is an avenue insurance companies can utilize to avoid litigation,” Munro told the Florida Record. The assignment of benefits provisions are beneficial because the person who’s insured can have his problem addressed quickly and does not have to lay out money up front, he said. Both Large and the state’s insurance commissioner, David Altmaier, favor a legislative reform that would reserve the one-way attorney fee provision only for the policyholder, not third-party vendors. That would potentially keep premiums down and reduce litigation, they say. The Florida Justice Reform Institute’s research also found that 75 percent of the auto glass litigation in Florida is now concentrated in five counties: Pinellas, Orange, Hillsborough, Broward and Miami-Dade. Moreover, a relatively small number of vendors and law firms are behind these types of lawsuits, the institute’s research says. The assignment of benefits issue began to be seen in water-damage claims after a series of hurricanes struck the state, Large said, and then it “metastasized” to auto glass.